I’ve been hard at work piecing squares for my Pow Wow quilt. This is probably my favorite part of quilting because you get to see how the fabrics take shape into a work of art! I learned a new method of piecing in order to put these blocks together. 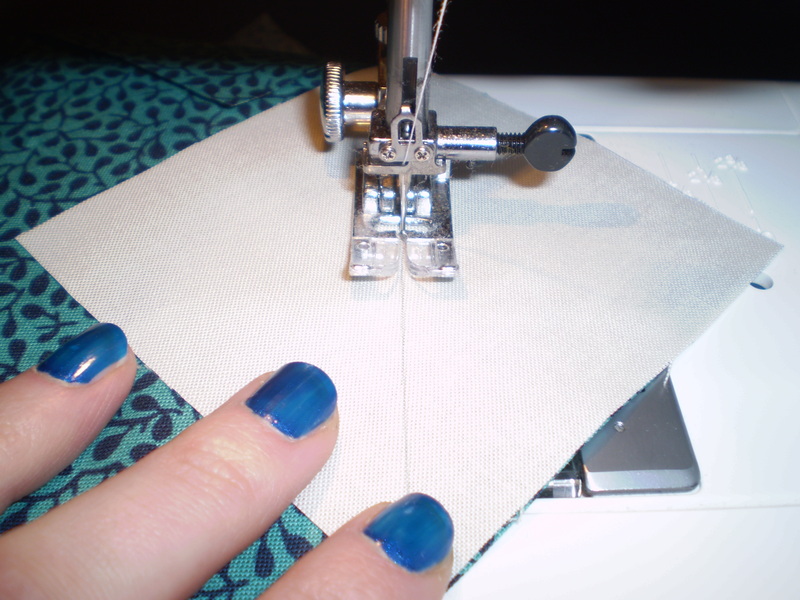 Although it wastes some fabric, it is much easier than it would be to piece together as triangles. The quilt that I have been working on for years is almost complete! I started this quilt as a sophomore in college in the depths of my dorm room. Four years later and all that’s left is binding! Hopefully I’ll get to show you that next week all finished! 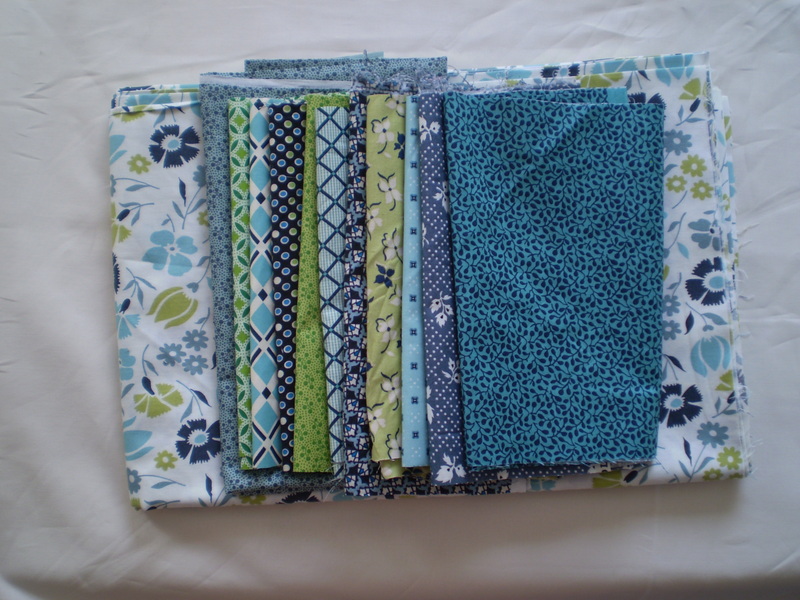 All those gorgeous fabrics are going to turn into the Pow Wow Quilt by Allison Harris over at Cluck Cluck Sew. I finished up the top of my previous quilting project shortly after buying this fabric. I told myself I couldn’t start on this until it was finished, but this way I can quilt them at the same time, right?! I just finished cutting out all the squares for my quilt top. So far I am really enjoying Allison’s PDF file. She has clear instructions and many diagrams for clarification. The amount of fabric needed was very accurate as well – something that because of my lack of storage, I can really appreciate. It seems that so often I end up with tons of extra fabric from projects! Cutting out is always my least favorite part. Now I have all my pieces cut out and they are ready to be pieced into the quilt blocks. 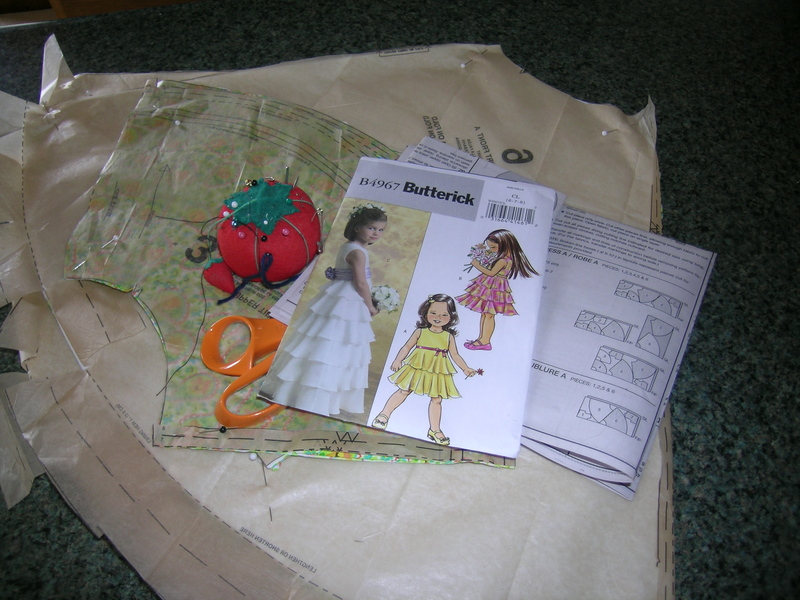 Time to get out the sewing machine! 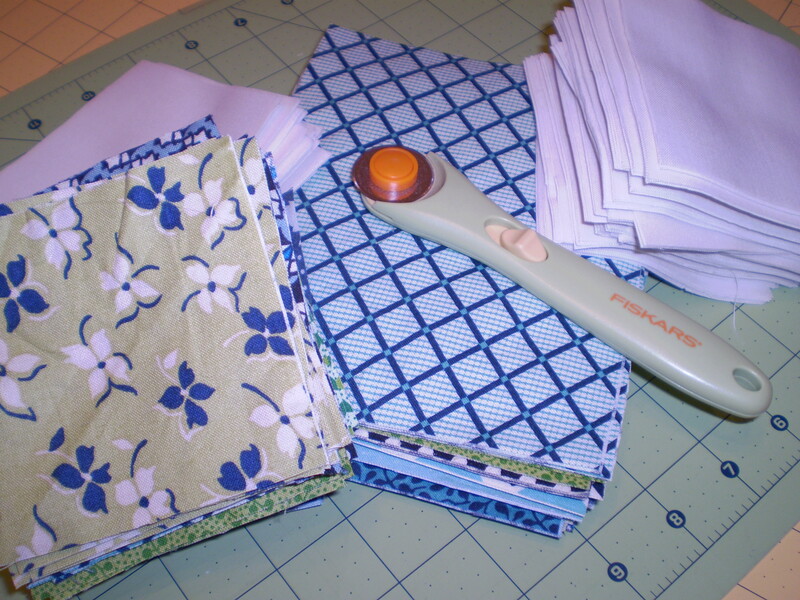 What is your least favorite part of assembling a quilt? Look at the gorgeous fabric this girl picked up! I can’t wait to get started…but I told myself I would have to finish my last quilting project first! 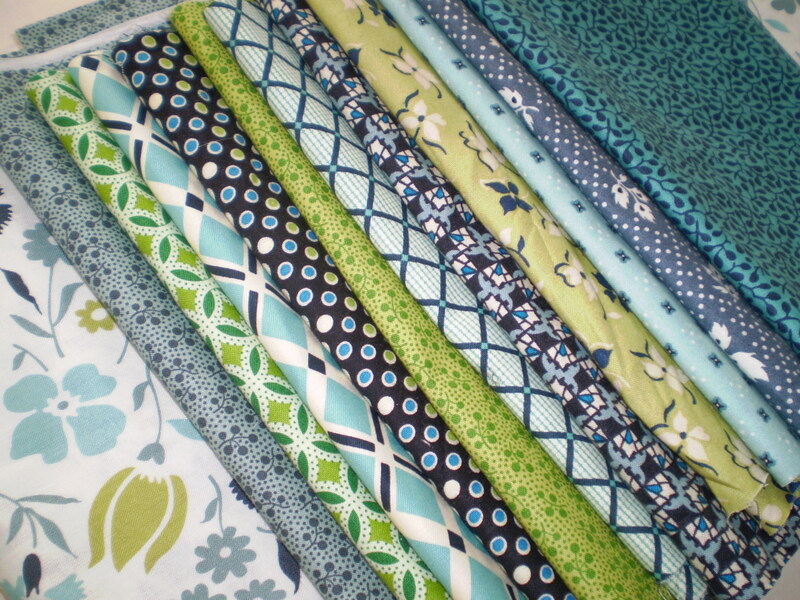 I have a really cute project in mind for these fabrics which is my motivation for finishing the other quilt!